Italian explorer ENI and the US supermajor ExxonMobil say they have ramped up marketing for the Rovuma LNG project, which will produce, liquefy and sell natural gas from the gas fields of the Area 4 block offshore Mozambique. Senior management representatives of the co-venture parties (ExxonMobil, ENI, CNODC, ENH, Kogas and Galp) met at the just concluded World Gas Conference in Washington, D.C. to affirm marketing progress. The Area 4 concession is located offshore of the Cabo Delgado province of northern Mozambique and is operated by Mozambique Rovuma Venture S.p.A., owned by ExxonMobil Development Africa B.V., ENI S.p.A. and CNODC Dutch Cooperatief U.A., which holds a seventy percent interest alongside Galp Energia Rovuma B.V., KG Mozambique Ltd. and Empresa Nacional de Hidrocarbonetos E.P., each of which holds a ten percent interest. 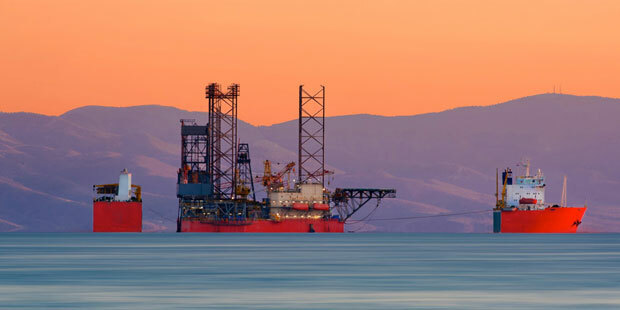 TOTAL has signed an agreement with Sonatrach, the Algerian state hydrocarbon company, to launch engineering studies for a petrochemical project in Arzew, in the west of the country. The project includes a propane dehydrogenation (PDH) unit and a polypropylene production unit with an output capacity of 550,000 tons per year. 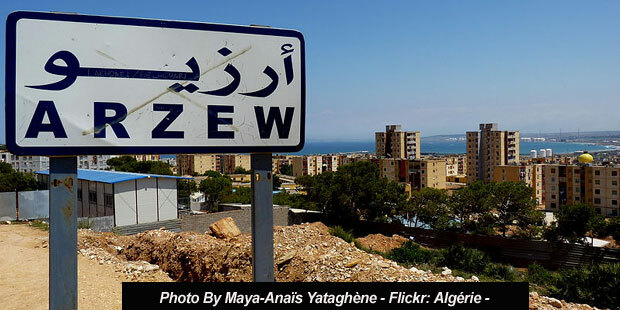 The project represents an investment of around $1.4Billion by the two partners (Sonatrach 51%, TOTAL 49%), who are planning to start the front-end engineering and design (FEED) this summer, subject to approval by the relevant Algerian regulatory authorities. The facility will valorize propane, produced in large quantities locally, by transforming it into polypropylene, a plastic for which demand is growing strongly. It will supply in priority the local and Mediterranean demand and TOTAL will be responsible for the commercialization of the rest of the production in Europe, where it will leverage its market expertise to the benefit of both partners. In 2017, TOTAL produced 15,000 barrels of oil equivalent per day (BOEPD) in Algeria, all of it from the Tin Fouyé Tabankort (TFT) gas and condensate field. The Group currently holds a 35% in interest in TFT. In March 2018, TOTAL started up production from the Timimoun gas field in southwestern Algeria. The Group has a 37.75% interest in the field, which has a production capacity of 5 million cubic meters of gas per day (around 30,000 boe/d). TOTAL also markets lubricants and bitumen in Algeria. Through the Maersk Oil acquisition, which closed on March 8, 2018, TOTAL now holds a 12.25% interest in the El Merk, Hassi Berkine and Ourhoud oil fields, which have a combined production capacity of 400,000BOEPD. Tanzania: When Will The Trickle Become A Flood? Electricity increase will creep, and the country will slowly expand the current 160MMscf/d domestic market…. There are three development licences on the Tanzanian hydrocarbon concession map. The Songo Songo, Kilwani North and Mnazi Bay licences, are all gas producers, collectively outputting around 160Million standard cubic feet of gas per day (160MMscf/d). The Orca Exploration operated shallow offshore Songo Songo gas field produces 70MMscf/d (comprising both the Protected Gas and the Additional Gas*). The Kilwani North project, operated by Aminex, averages 10MMscf/d. The Maurel et Prom led Mnazi Bay project delivers 80MMscf/d. These three projects, which are in onshore and shallow water terrains**, supply gas to seven power plants and several industrial customers. Given the government’s published plans for more gas fired electricity plants, it would be easy to assume that the natural gas demand will surge. That is what Orca, Aminex and Mauriel et Prom and its partners are hoping for. “The Government of Tanzania intends to increase the installed power generation capacity from 1,583MW to 10,000MW by 2025”, Orca wrote in a report released in 2017, citing the Tanzanian Power System Master Plan 2016 and the Electricity Supply Industry Reform Strategy 2014(updated in 2016). “4,000MW of the increased capacity will be attained through the installation of new gas powered plants”. 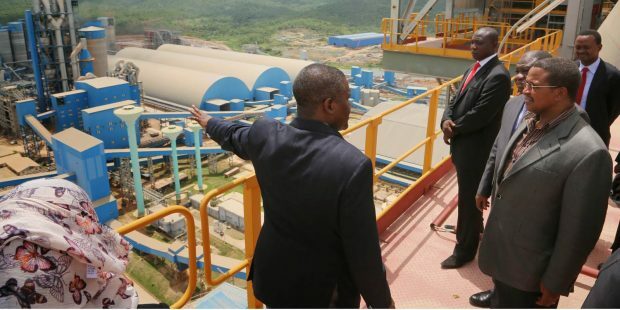 Last year, Maurel et Prom and Partners in the Mnazi Bay project published a list of pending power plants and industries whose “imminent gas demand” are expected to boost the project’s supply to 300MMscf/d by end of 2019. It is close to mid-2018. And 2025 is just seven years away. True, some of those plants are up and running, even at optimum. The Kinyerezi-1 power station operated at near full capacity during the second half of 2017 and the Kinyerezi-2 commenced commissioning during Q4 2017. But overall, the Government’s estimates that the total power demand will increase by 8% per annum is not being converted to actual market activity. By its own admission, the completion dates for five near term planned Gas Powered Plants, expected to consume 294MMscf/d to generate 1,376MW, “are likely to slip, given the size and financial commitments required to complete the projects,” Orca reports. What’s clear is that Tanzania, unlike South Africa, Egypt and, to a lesser extent, Nigeria, does not bear an acute hunger to be an industrial economy. And yet these companies “see” opportunities in the Tanzanian energy ecosystem. Aminex will expand production of the Kilwani gas field, it says in its updates, and put the newly discovered Ntorya field into production. “Existing plant and gas sales agreements have sufficient capacity to permit rapid integration of any future Kiliwani discoveries”, the company reports. Orca is hoping to finalise Gas Sales agreement with TPDC and increase its production from Songo Songo. The Company has also identified and is developing additional markets among existing industrial customers, new industry and Government gas-fired power generation which, based on current forecasts, has the potential to contract for sale all of the existing and potential new productive capacity of the Songo Songo field to the end of the license. Orca’s subsidiary, Pan Africa Exploration, operates three wells, two of which are in production (SS-10 and SS-11) and one of which is not (SS-12 requires platform and flowlines). Including the Songas wells, current production capacity is 155 MMscf/d which can be increased to 180 MMscfd/ once SS-12 is tied into the country’s main gas infrastructure network. 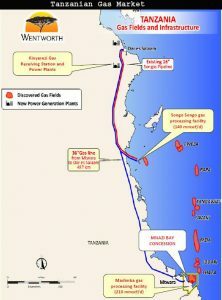 *The Production Sharing Agreement (PSA) between Orca Petroleum, the Tanzanian Petroleum Development Company (TPDC) and the Government of Tanzania defines the gas produced from the Songo Songo field as “Protected Gas” and “Additional Gas”. Under the terms of the Gas Agreement, TPDC has assigned its rights to sell or otherwise dispose of the Protected Gas to Songas Limited. Songas utilizes the Protected Gas as feedstock for projects it has designated to supply gas. **The projects discussed in this article are all entirely onshore and shallow water and outside the deep water licences, which reportedly hold over 45Tcf, and have been subject of so much debate about Tanzania’s export potential. 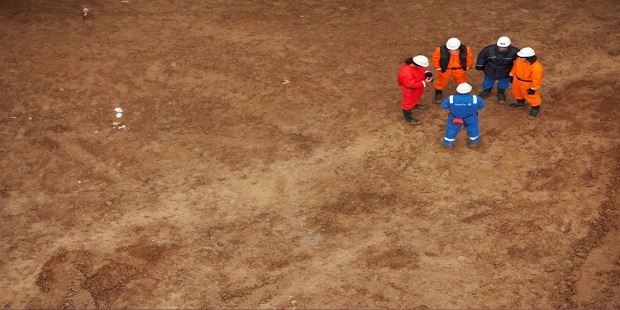 The company started up the third production unit (T-2) of the Zohr project, weeks after the startup of the second production unit, and the gross output is equivalent to approximately two hundred thousand barrels of oil equivalent per day (200,000BOEPD), of which 75,000BOEPD is net to the company at current working interest. “This outstanding result has been achieved only a few months after the field’s start-up in December 2017”, ENI says in an enthusiastic release. The aggressive programme “pursued by ENI, its co-venturers and Egyptian Natural Gas Holding Company (EGAS)” targets a production level of 2Bscf/d by end 2018, followed by a plateau of 2.7 Bscf/d in 2019, the release said. The Zohr field, the largest gas discovery ever made in Egypt and in the Mediterranean Sea, with more than 30 Tcf of gas in place, is located within the offshore Shorouk Block (some 190 km north of Port Said). In this Block, ENI holds a 60% stake, Rosneft 30% and BP 10% of the Contractor’s Share (where ENI, Roseneft and BP are collectivity the Contractor). The project is executed by Petrobel, the Operating Company jointly held by Eni and the state corporation Egyptian General Petroleum Corporation (EGPC), on behalf of Petroshorouk, jointly held by Contractor (ENI and its partners) and the state company Egyptian Natural Gas holding Company (EGAS). 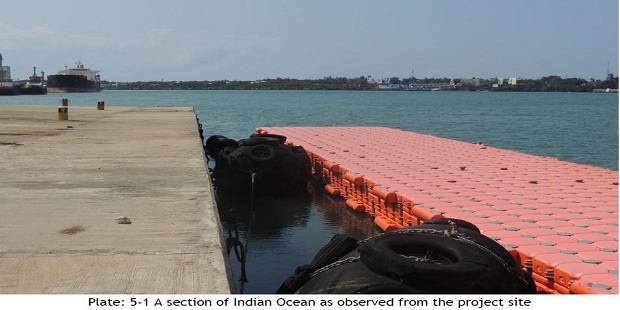 The International Finance Corporation (IFC) has agreed to lend $48Millionto Mombasa Gas Terminal Limited (MGT) to construct a liquefied petroleum gas (LPG) terminal in the Kenyan port of Mombasa on the coast of the Indian Ocean. American engineering firmLloyd Jones Construction, has won the contract to build the facility, which will also have a pipeline and direct mooring access for large-sized LPG carriers. It is scheduled to commence operations in early 2020. The terminal will feature a private berth for unloading mid-sized LPG carriers, an onshore 22,000 metric tonne capacity storage and associated infrastructure, including multiple landing points for transfer of LPG to transport vehicles. The IFC Loan is slightly less than half of the $112Million funding for the project, which will come, in part, as equity from MGT, and in part, as loan from other lenders. MGT is operates a fleet of 20 containers to import LPG into Mombasa on-board container vessels It is .owned by Dubai based Milio International Limited, which sells refined hydrocarbon fuels. MGT will use LPG-approved tanks to transfer the gas by trucks to the Rift Valley Railways (RVR) yard in Kilindini and the Standard Gauge Railways (SGR) yard in Port Reitz, from where the commodity will be transported to Nairobi and other parts in the country. The company will also use LPG bullet trucks accredited by third party and contracted by customers for transport of the gas. Environmental and social impact assessment test on the project were undertaken in February. Italian giant ENI has announced the start-up of the second production unit (T-1) of the Zohr project offshore Egypt. The unit increases installed capacity in the field by 400 MMScfd, just 4 months after the field’s start-up. Zohr now has a capacity of 800 MMscfd, equivalent to 150,000BOE per day (46,000BOPD net to ENI). The production ramp-up is planned to continue, with the same exceptional performance, in order to reach 1.2Bc/d in May 2018, 2 Bc/d by end 2018 and the production plateau (2.7Bc/d) in 2019. The Zohr field, the largest gas discovery ever made in Egypt and in the Mediterranean Sea, is located offshore, within the Shorouk Block, some 190 km north of Port Said. Zohr was discovered in August 2015, obtained the Development Lease approval in February 2016, and started the production in December 2017 with a time-to-market of 2.3 years. “The latest achievement reinforces the exceptional development path of Zohr, one of ENI’s seven record-breaking projects, which is playing a fundamental role in supporting Egypt’s wish to cease LNG imports in 2018”, ENI says in a release. 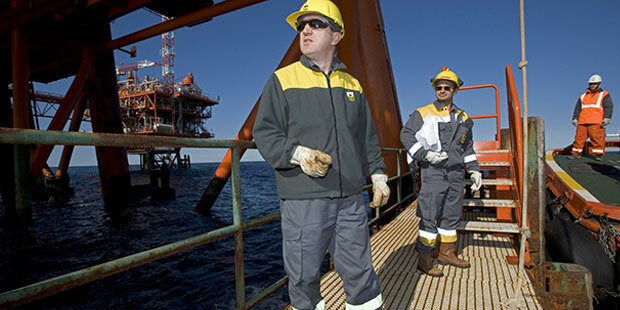 ENI holds a 60% stake in the Shorouk Block, Rosneft 30% and BP 10%. 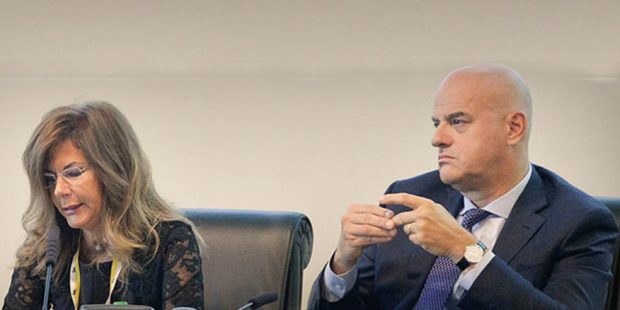 In March 2018, ENI agreed to sell a 10% stake in the concession to Mubadala Petroleum. The project is executed by Petrobel, the operating company jointly held by Eni and the state corporation Egyptian General Petroleum Corporation (EGPC), on behalf of Petroshorouk, jointly held by Contractor (Eni and its partners) and the state company Egyptian Natural Gas holding Company (EGAS). ENI, the Italian explorer, has ramped up production of natural gas in Nooros gas field , offshore Egypt, far beyond 1Billion standard cubic feet a day. The company itself reports that the field now produces 32 million cubic meters per day, or 1Billion, One Hundred and Thirty Million Standard Cubic Feet a day (1.13Bscf/d). The volume is equivalent to around 215,000 barrels of oil equivalent per day (BOEPD). The company promises even more. “This significant result has been reached thanks to the start-up of the NW-7 well, the thirteenth drilled within this field. 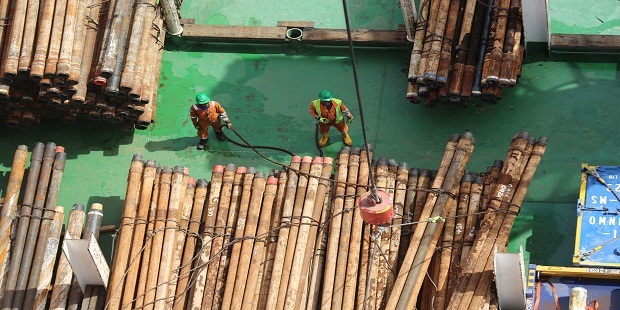 Production levels will increase further by June 2018 when a fourteenth well, currently under drilling, will start-up. This is expected to allow ENI to reach 34Million cubic meters per day (or 1.2Bscf/d) of production, equivalent to around 230,000 BOEPD”. “The Nooros field was discovered in July 2015 in the Nile Delta offshore area and put into production in record time the following month. It is currently ENI’s main gas producing field in its Egyptian asset portfolio as well as an example of the success of the company’s integrated model. 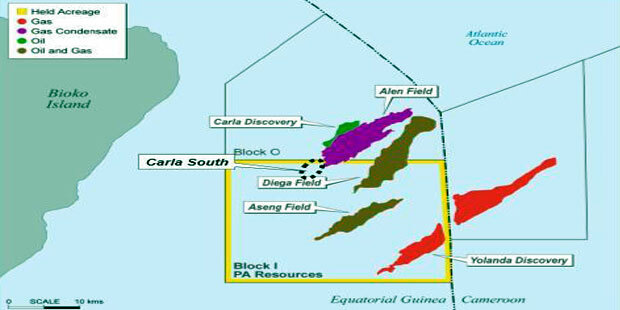 The discovery perfectly exemplifies ENI’s “near field” exploration strategy, aimed at locating potential additional reserves located in proximity to already existing upstream infrastructures. Moreover, thanks to the mature operating environment and the conventional nature of the project, its development constitutes a unique case in the oil and gas industry, exceeding all expectations in terms of expected time and results”. Nooros’ development will also be optimized in the mid-term following the extension of the development lease that will entail new investments, in particular the construction of a new trunkline linking Nooros with the El Gamil onshore treatment plant by year end 2018 and early 2019, ensuring the above production level in the mid-term while maximizing recoverable reserves. These measures will also include the start-up of Baltim SW (where ENI holds a 50% stake through its affiliate IEOC Production BV, while BP holds the remaining 50%) and will allow the swift start-up of any future exploration potential in the Nile Delta area. In the Nile Delta Concession, where Nooros is located, ENI holds a 75% stake through its affiliate IEOC Production BV, while BP holds the remaining 25%. ENI has been present in Egypt since 1954 and is the country’s main producer with an equity production of more than 250,000 barrels of oil equivalent per day. Ophir Energy has described, as very frustrating, its inability to reach Final Investment Decision for the Fortuna Floating LNG facility in 2017. The financing for the project, located off Equatorial Guinea,“is the last remaining major milestone before the project can reach FID, and it was very frustrating not to achieve this in 2017”, the company says in its latest update. “We take confidence from Fortuna’s robust, low break even economics with low development costs and world class flow rates that contribute to arguably the most competitive greenfield LNG project in the world today”. Ophir says that Fortuna FLNG is potentially a transformative project for Ophir. “For a relatively limited forward investment, we are looking to launch a world class development that will offer significant, annuity-like cash flow for 20+ years. “An annual global LNG demand growth of around 4-5%, combined with a forecast slowing of LNG supply growth beyond 2020 and a tightening supply/demand balance has positioned Fortuna well as it enters production from 2022. A benefit of the current commodity price slump is that we have been able to lock in lower unit pricing for the development. “We are working towards reaching first gas in 2022, when we can look forward to annuity-like free cash flows from the asset of approximately $150Million per year at current prices”. Late in 2016, Ophir selected Gunvor Group as preferred off-taker “on attractive commercial terms, as we announced a Brent-linked, free-on-board offtake agreement”. Upon execution of the commercial terms Gunvor would underwrite the contract capacity of the Gandria FLNG vessel of 2.2 MMTPA. “Under this agreement, we would retain the option for up to two years from FID to secure an alternative, premium priced market for 1.1 MMTPA of this volume. In addition we would retain the option to market the remaining 0.3-0.5 MMTPA of further offtake from the project. Our vessel for conversion, the Gandria, is expected to enter the shipyard in early March 2018 to commence early works. Separately, Golar’s first FLNG vessel, FLNG Hilli Episeyo, left the same shipyard and reached its operating location in Cameroon in November 2017. The vessel is currently being commissioned prior to delivery of its first commercial cargo. The delivery of this first cargo would represent an important step in the de-risking of the midstream component of the Fortuna FLNG project”. Egypt is rapidly on course of eliminating debts owed by the state to E&P companies who produce natural gas in the country. Between January and end of March 2018, Finance Minister Amr El-Garhy reckons, the country would have paid $750Million. The government pledges there would be no debt by the end of second half 2019.